We love working with hard maple. It is by far our preferred material. People often ask us why - so, we thought we’d tell you. We’ll be very cliché, and start at the beginning. Hard Maple (also called hard rock maple or northern hard maple) is a popular northern tier, deciduous tree. It is the state tree of Wisconsin, Vermont, New York, and West Virginia. Enjoyed for its natural beauty, maple trees are found along city streets, in parks, and private yards. A variety of sub-species are available, offering a range of leaf colors, all of which change in the fall, providing added beauty to the countryside. Basically a cold weather tree, during periods of significant temperature change, maple trees produce sap that is collected and made into maple syrup. 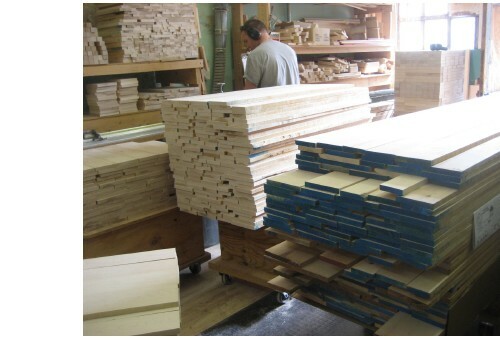 Commercially, hard maple is often used to make cutting boards and counter tops, as the dense wood does not impart a taste to food and it holds up well. As a furniture material, maple performs well, enhancing high quality finishes with a lustrous sheen due to its hardness. Maple occurs naturally in forested rural areas, where it is typically harvested (and re-planted) under the watchful eye of state or county forest management personnel. This forest management system protects against over-logging, and insures material will be available for future generations of woodworkers. We like hard maple for some of it’s inherent qualities: it has a fine and close grain structure, which reduces chances of splintering; it is heavy, which adds stability to products needing to stand upright or stacked; it is abrasion and dent resistant, insuring durability; it ages well, actually improving over time (woodworkers like to say hard maple products get harder and develop a fine patina over time). 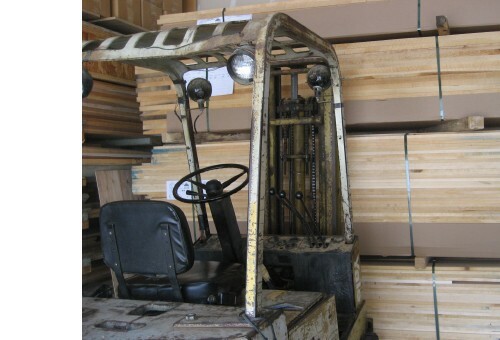 Hard maple lumber actually helps us provide high quality products that perform well with heavy use. We hear Beka products described as being “heirloom quality”; many of our products have in fact been used by families over generations. It is not unusual for us to get calls from Grandparents, passing their children’s toys on to their grandchildren. Hard maple is truly part of that.